With Halloween fast approaching our thoughts turn to witches and ghosts. Yet if your child has a birthday near this spooky day in October, like my youngest child, I am sure you don’t necessarily want to have a spooky party. I have found a solution to give a hint of scary but alot of fun and not a witch or ghost in sight. 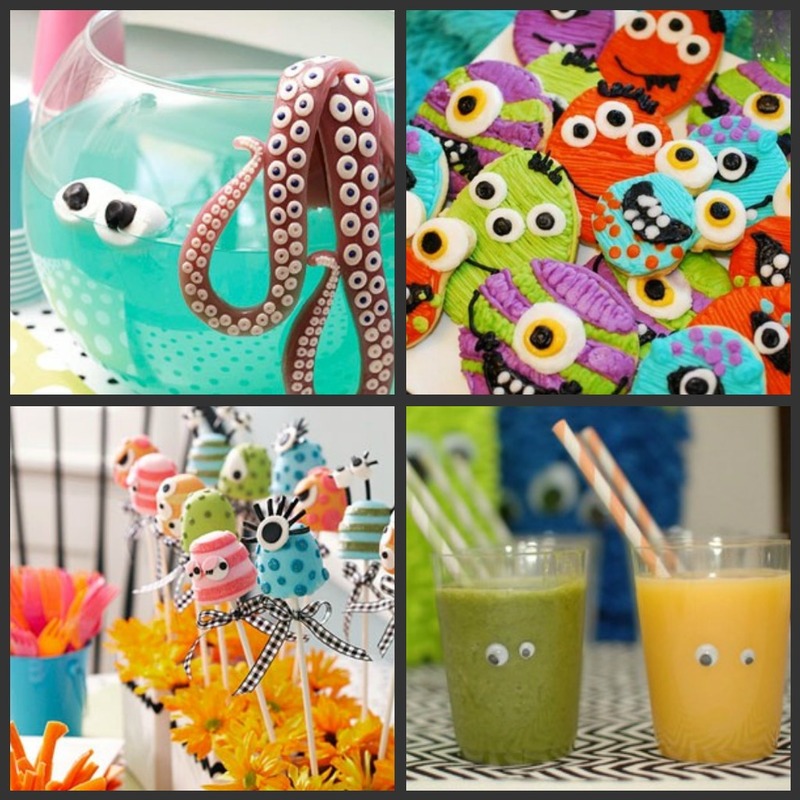 Monsters make a perfect party theme whatever month of the year and today I am looking forward to sharing some ideas that will make your little children smile. 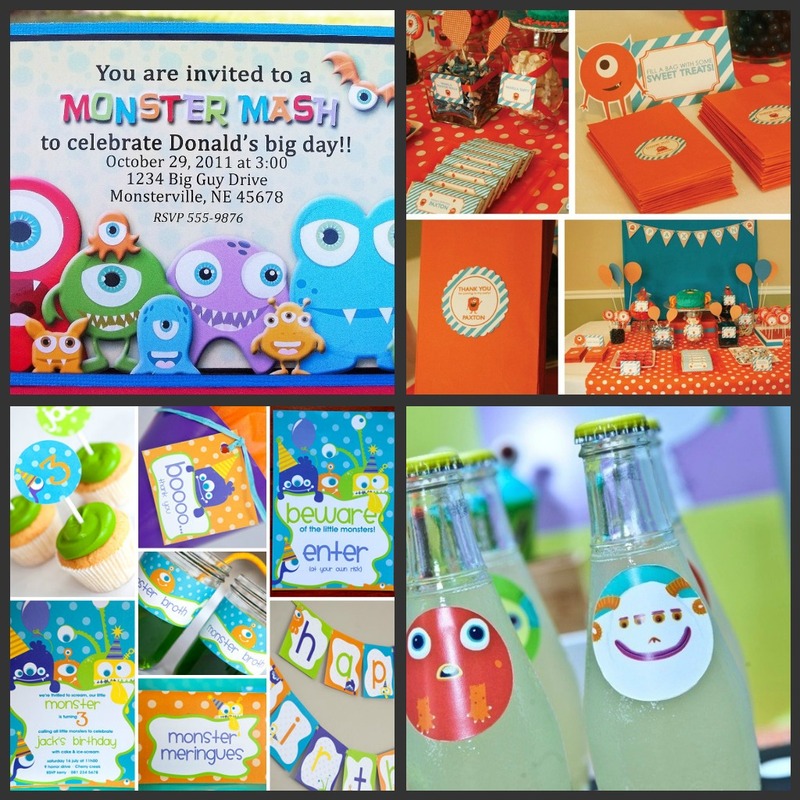 There are lots of fantastic party decorations and invitations available for your monster party. 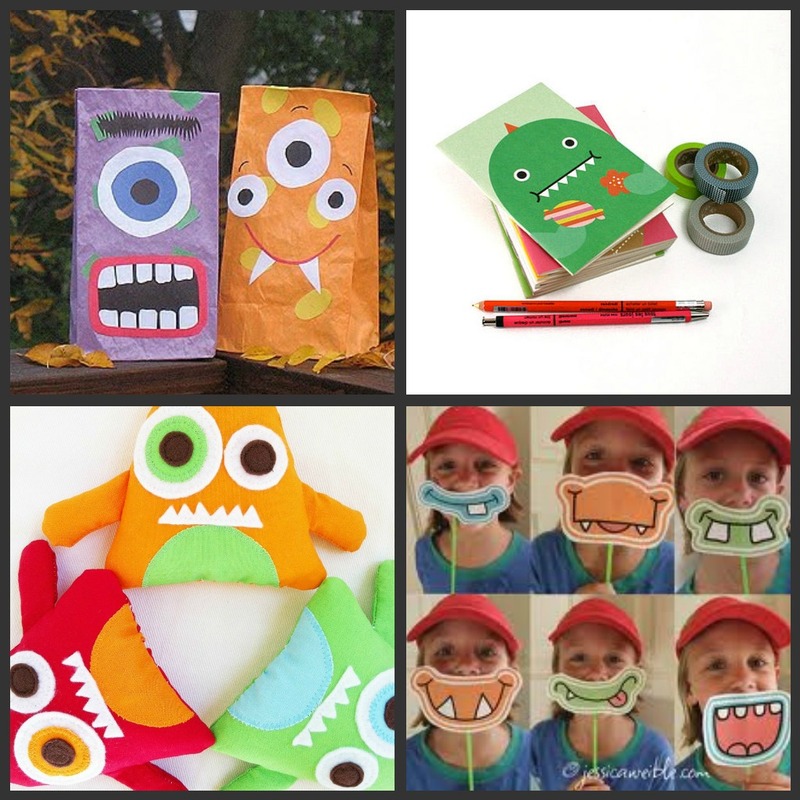 Alternatively you could buy a pack of brightly coloured card, cut out some interesting shapes, add a few googly eyes and you haev your very own monster party invites! Monster party food can be lots of fun, with strange coloured drinks and crazy monster cakes. 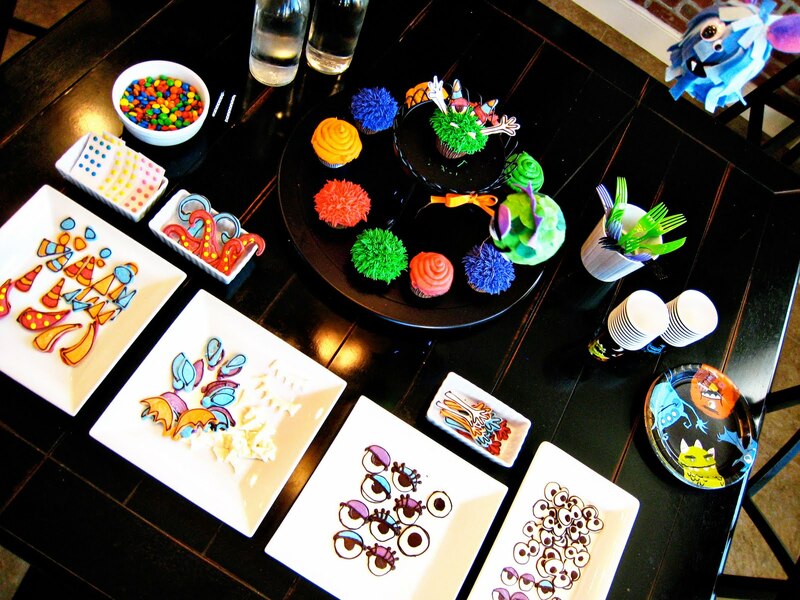 I absolutley love this idea for a build your own monster cupcake game from Snowy Bliss. Based on Mr Potato Head this fun idea is a fantastic way to have chidlren use their imaginations. Wall stickers or decals as they are sometimes called, can really add to your party decorations at an affordable price. Also you could always use the decals in your childs bedroom or playroom after the party. 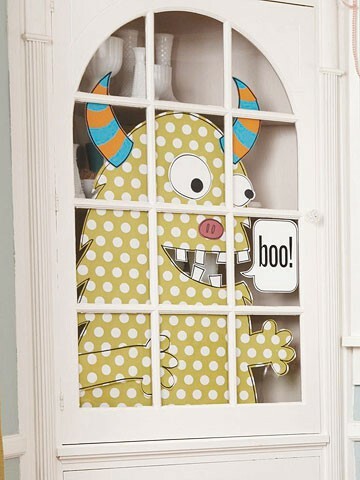 Here are a few monster wall stickers I found whilst researching this theme. The craze of creating sock monsters would be a perfect activity for older children. With a selection of socks, some felt, buttons and different coloured thread your party guests could have great fun creating their very own sock monster to take home. Felt is also a fab fabric for creating strangley shaped monsters that can be glued or stiched together which could then be decorated with more felt or buttons to complete your monster. I found this monster make on Pinterest. You could easily stich or glue the edges. 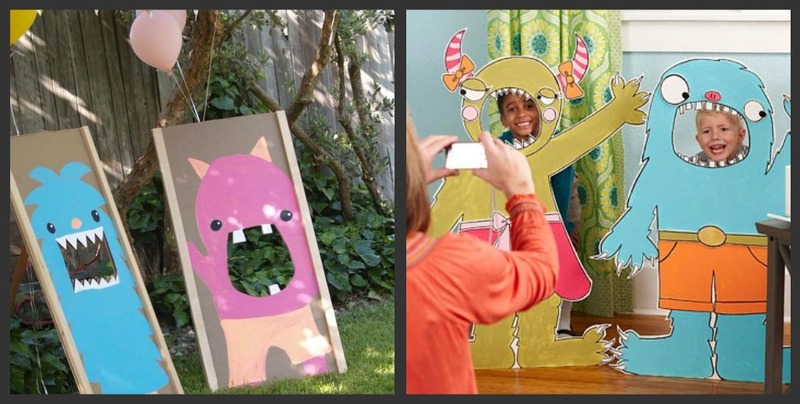 Photo booths have become a fun addition to weddings this year but I also love using this idea at parties too. With a box full of bizare headbands with eyes on springs or scarves cut from bright orange fake fur I’m sure your guests would have great fun striking monstorous poses. Another idea I love is creating a photo scene for the children to poke their head through, pretending to be monsters. With all this monster fun it would silly not to send your guests home with a monstorous treat. don’t forget to keep the theme with the party bag too. So practise your monster growl and welcome your guests for a monster mash! This post has been shared in the Link Party at Birds Party!